This is MidnightSun Publishing’s first foray into cross-over fiction, described by Books+Publishing as ‘a slice of Australian Gothic’, with comparisons made to the works of Craig Silvey, Tim Winton and John Marsden, all of which must be encouraging for first time novelist Raynes. 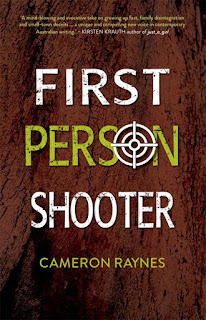 First Person Shooter is told in first person by an interesting and likeable teenager, Jayden, who stutters, an affliction which causes him much embarrassment, to speak infrequently, and to become a keen listener and observer. Jayden lives with his dad and his aged dog, Charlie; he’s addicted to Xbox games, is a hard worker on his family orchard, and has a part-time job in a butcher’s. His best friend is the fatherless Shannon, whose mum Madeleine is in prison as a result of murdering her former partner, Terry. Told in sections, each representing a day of the week, and then six months later, the book concerns itself with maleness, soldiering, guns, butchering, bullying, assaults and more that imbues the story with a strong sense of testosterone-filled action. Caught with ammunition at school, Jayden is suspended. What follows is Madeleine’s released from prison and, at the same time, a local drug war. There is much suspense as the reader wonders if Madeleine’s sociopathic stepson will seek revenge for his father’s death. 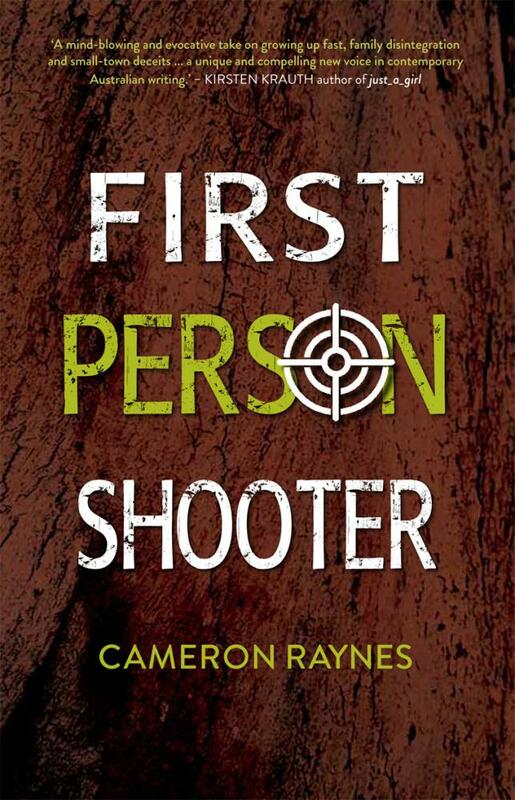 Cameron Raynes and his publisher ought to feel pleased with this novel. It has a unique and compelling voice, one which isn’t often explored in YA literature. No doubt it will be short-listed for, or win awards.